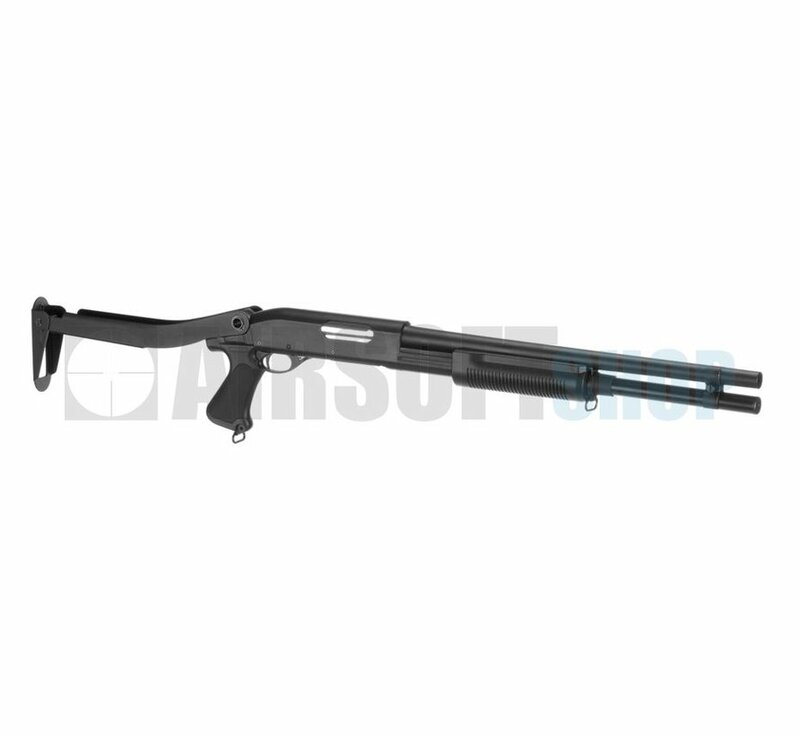 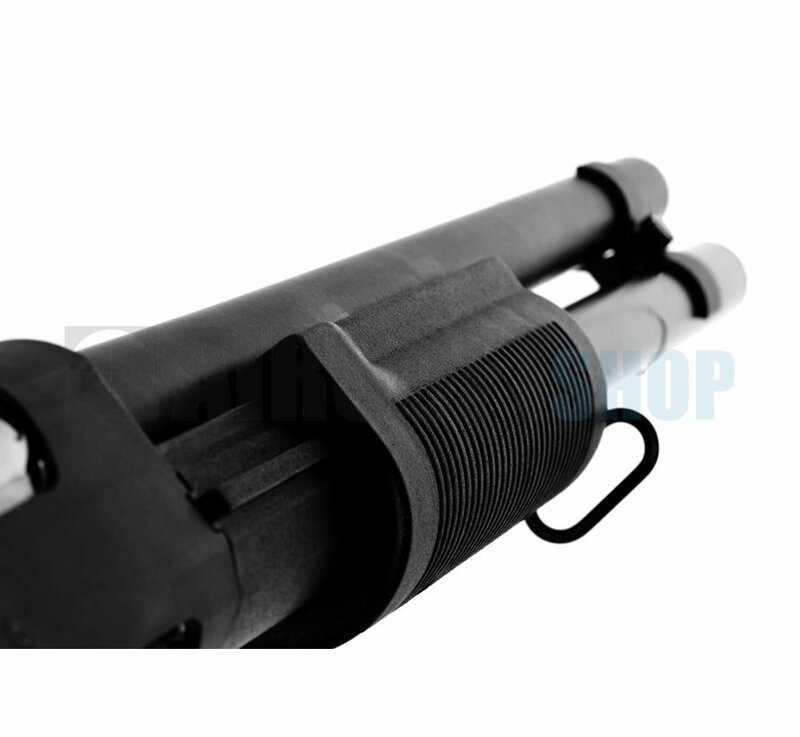 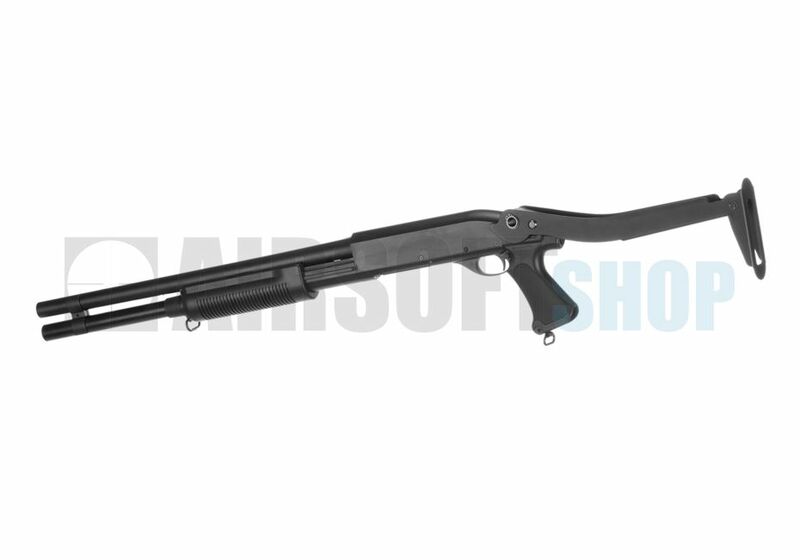 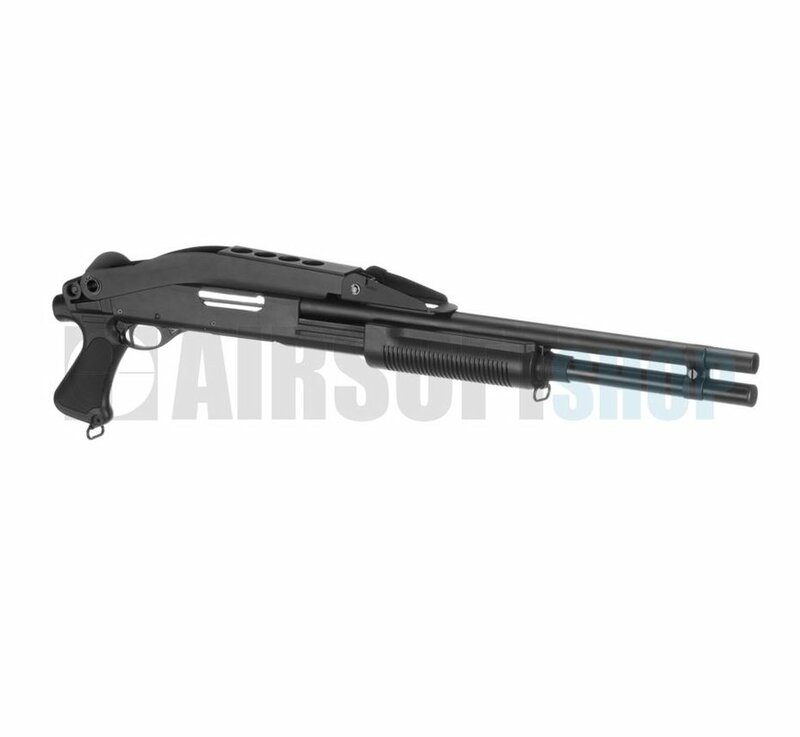 CYMA - CM.352L Tactical Tri-Shot Shotgun Folding Stock - Black is a Pump Action Airsoft 6mm BB Shotgun, which features a Folding Stock allowing the shotgun to be Shortened for CQB Sitations and for Transporting. 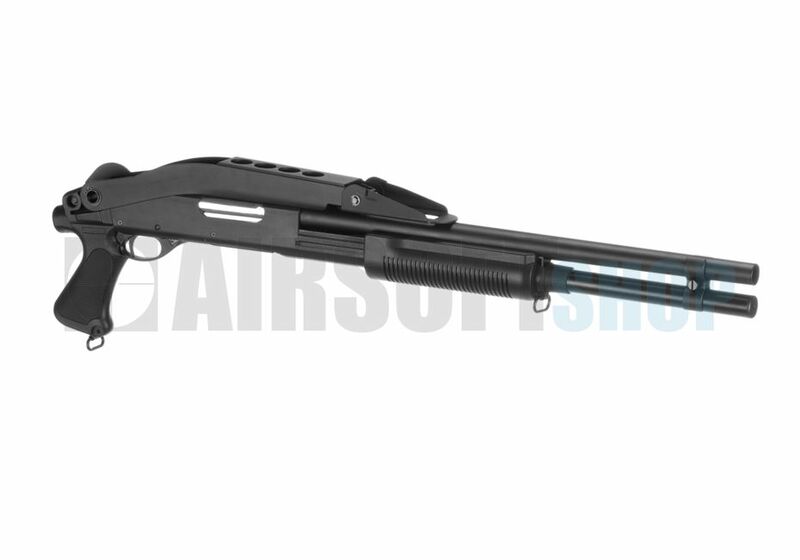 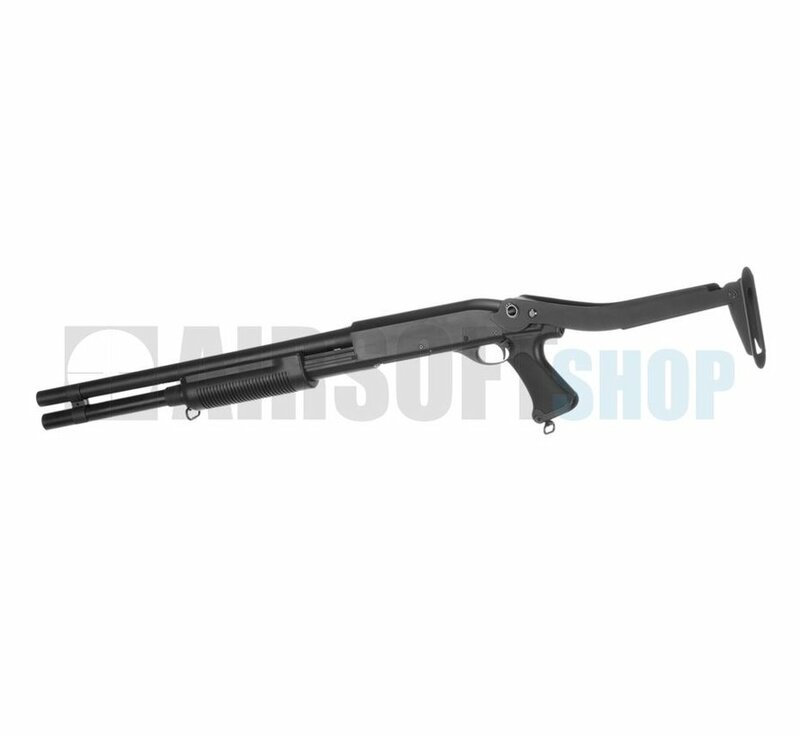 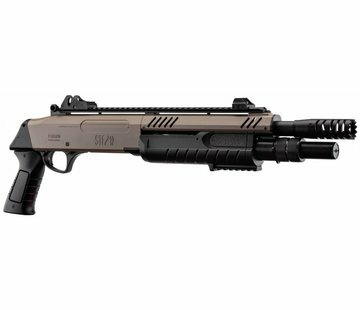 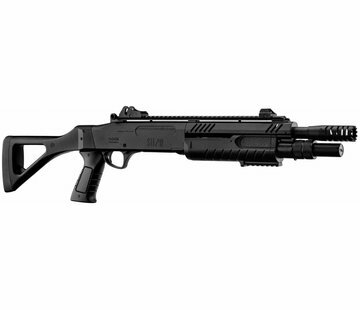 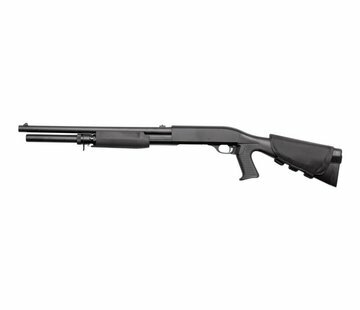 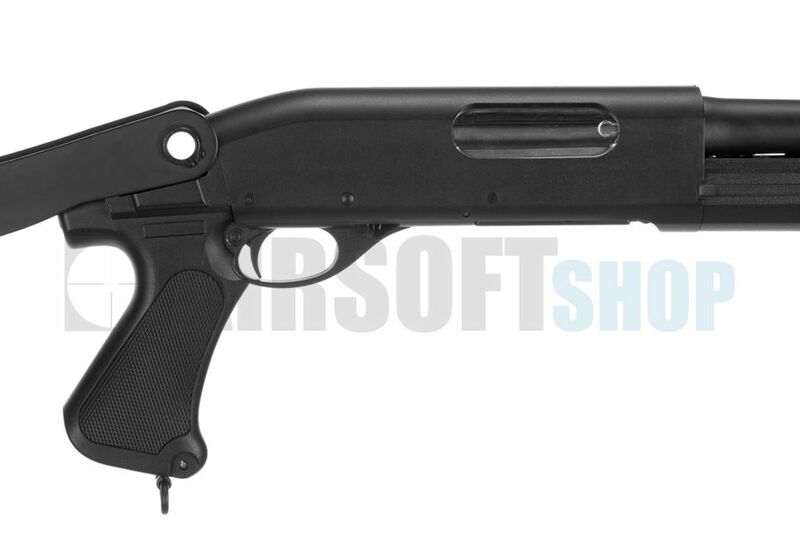 The shotgun is constructed with a Polymer Grip, Receiver, Pump / Lower, and with Alloy Barrels, Folding Stock and Trigger. 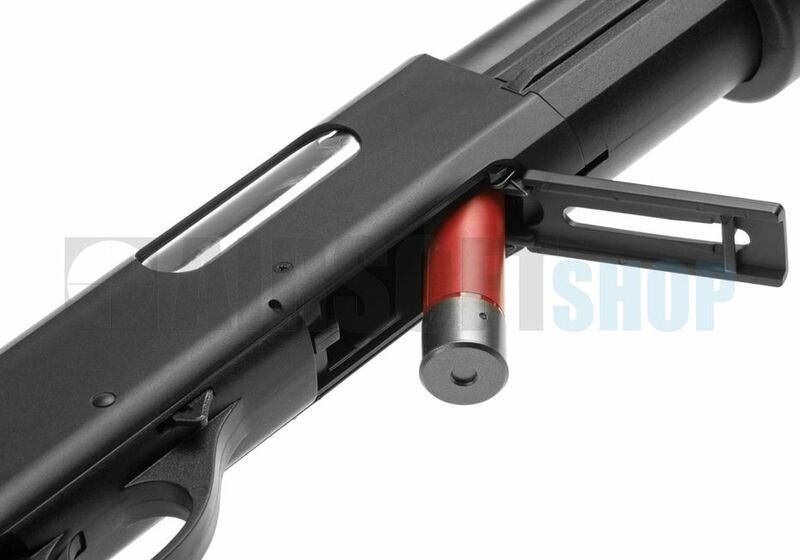 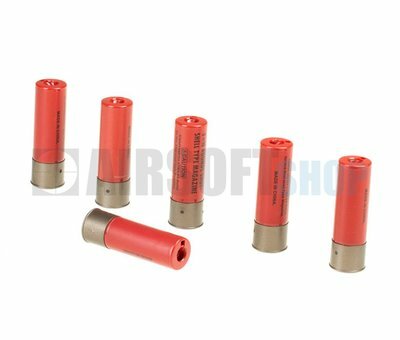 This shotgun stands out from the crowd with the ability to Fold the Stock, and unlike other cheaper shotguns the Stock locks firmly in place, preventing it from swinging whilst running. 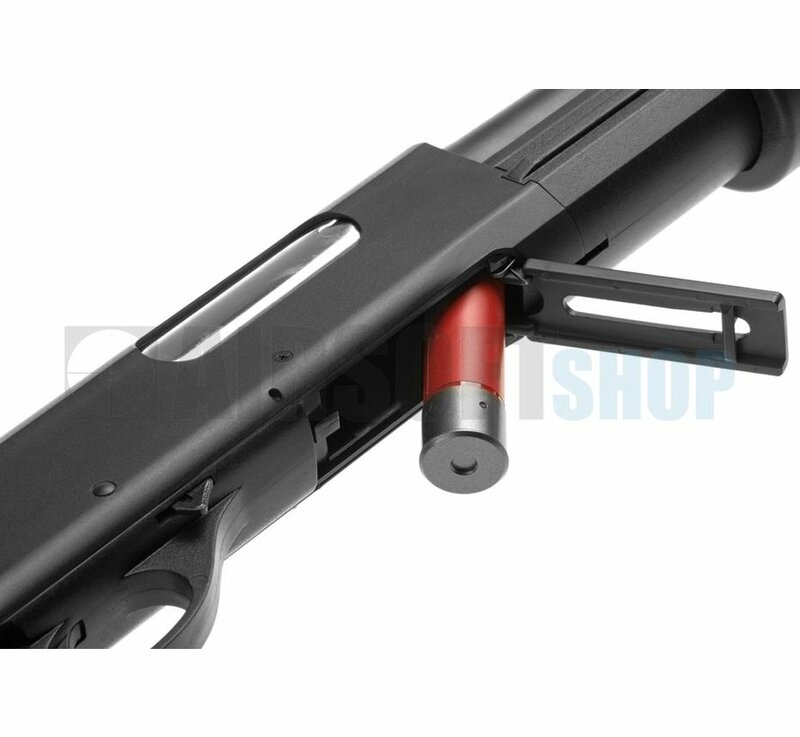 The shotgun is loaded from the bottom, just like the real thing, with a single Shotgun Shell Style Magazine for extra realism. 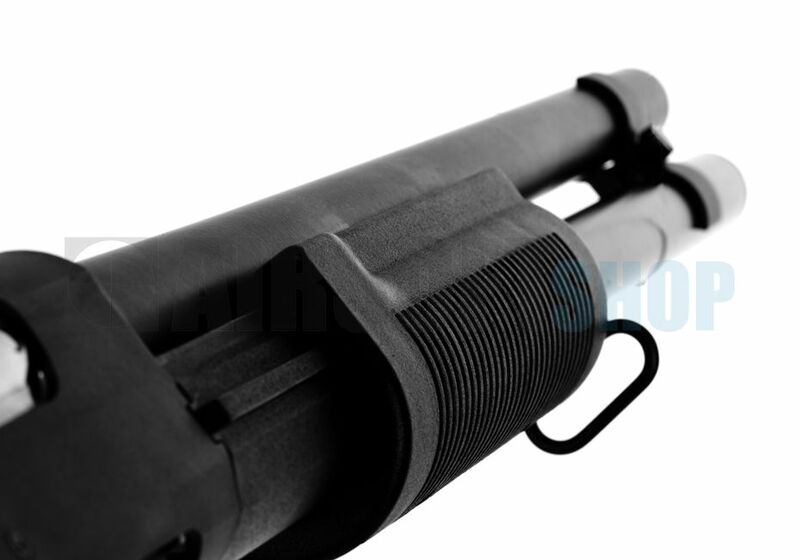 The weapon features a Front and Grip Sling Loop Point, allowing various Sling Systems to be used with the weapon, aswell as a textured Grip for extra hold on the Weapon. 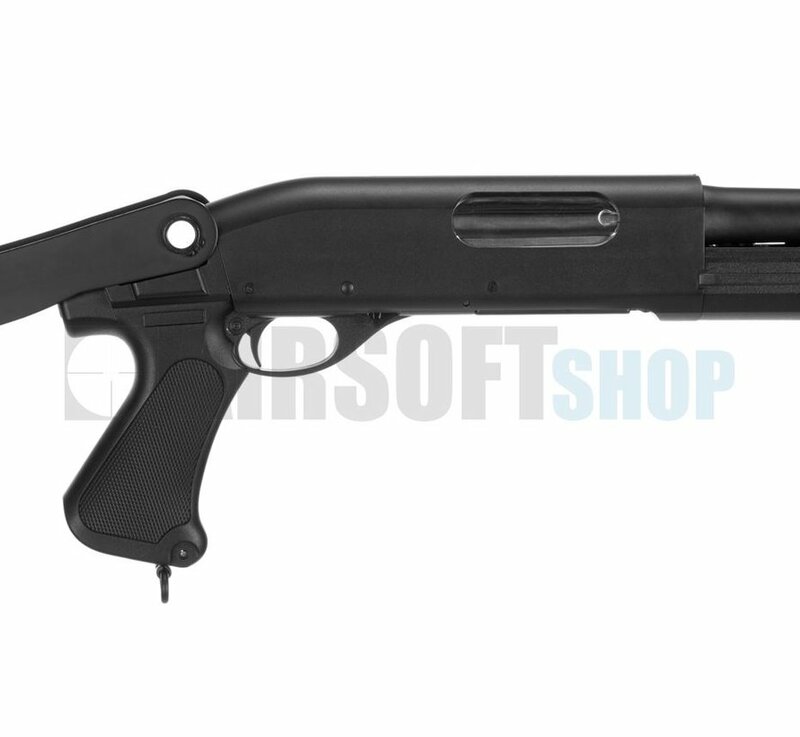 This is the perfect Shotgun for those looking for a more interesting Secondary Weapon, working great with a Shotgun Scabbard should your main weapon become inoperable, or great for keeping handy for close encounters.